For those of you who may wish to know, my latest book is now available (see update below). 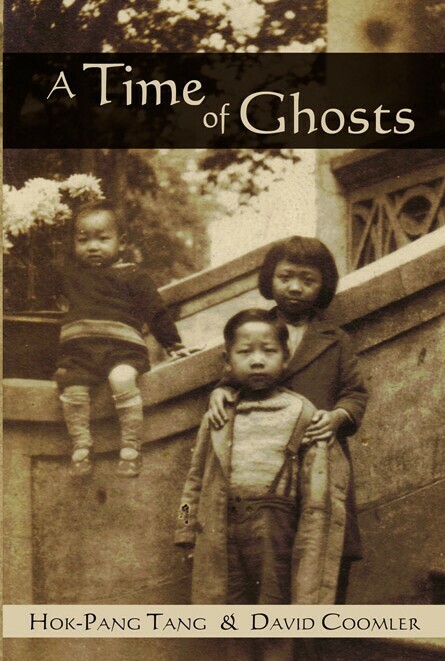 It is the remarkable story of a long-time friend of mine who was born to a wealthy and powerful family in China before the Revolution, and then lived through the coming of Communism and the immense tragedy and upheaval it brought to countless lives. There are other books dealing with this period, of course, but this one is a bit unusual. It deals quite frankly with both the spiritual and — for lack of a better word — the “supernatural” side of life that continued even as a brutal version of Communism was imposed on the country. I felt it was important for me to get this book published, not only as an historical record, but above all so that the various people in it — rich and poor, spiritual and worldly, saintly and evil, and all those somewhere between — might not be forgotten entirely. I can honestly say that those who have read the book have been fascinated with it. It took a very long time to write, and it was not an easy project by any means. But I hope the result is a fitting memorial not only to my long-time friend who has now passed from this life, but to all those he met in his odyssey through a world turned upside down. From time to time I like to remind people why I use historically-accurate terminology here, instead of the inaccurate, anachronistic, and very misleading and confusing term “haiku.” Bashō called what he wrote hokku, as a part of his practice of haikai; that was true whether the verses appeared independently or in linked verse or in travel journals. The same is true of all writers of the verse form in the centuries prior to the 20th. And of course those who write hokku rather than modern haiku today continue to use the same term — hokku — as was used in past centuries. Many are still confused by careless and indiscriminate use and mixing of the terms hokku and haiku in print and on the Internet. Are they the same? Are they different? It is important to know, because the survival of hokku depends on understanding just what it is, so that we do not confuse it with all the superficially similar verses that go under the umbrella term haiku. Without going into detailed description, we can say that hokku is a short verse form that first achieved real popularity near the beginning of the 16th century. For our purposes, however, hokku as we know it began with the writings of two men, Onitsura (1661-1738), who left no students to carry on his work, and Bashō (1644-1694), who did have followers, and so has become much better known. From the time of Onitsura and Bashō all the way up to the time of Shiki (1867-1902), the verse form was known as hokku. Haiku as the term is understood today did not exist until it was created by Masaoka Shiki near the end of the 19th century. It should be obvious, then, that anyone who speaks of the “haiku” of Bashō, or the “haiku” of Buson or Issa or Gyōdai or any of the other early writers of hokku, is speaking both inaccurately and anachronistically. That is a simple fact which anyone can easily verify, yet the modern haiku establishment persists in trying to obscure it. Why, then, do so many people persist in inaccurate and anachronistic terminology, pretending that hokku and haiku are the same? There are two simple reasons. First, it is in the interests of modern haiku organizations, who have confused haiku with hokku for so long in their publications that it is embarrassing to make the correction. After all, it was the founders of the Haiku Society of America who tried to get the term “hokku” declared obsolete! The second reason is commercial. Scholarly writers who know better sometimes misuse “haiku” when referring to hokku simply because they or their publishers or both want to sell more copies, and it is a simple demographic fact that more people have heard of “haiku” than have heard of hokku. The result is the perpetuation of a mistake that among scholars is well known to be a mistake . There is, therefore, no reason for not correcting the problem and using accurate terminology. Bashō did not write haiku, nor did any of the other writers up to the end of the 19th century, because “haiku” as known today simply did not exist until that time — in fact much of the kind of modern haiku written today in English and other European languages did not exist until the middle of the 20th century onward. Shiki’s reforms damaged hokku, but the result might not have been too serious had not even more radical writers come after him, following his impatient tradition of innovation. Both in Japan and in the West, writers appeared who continually remolded the new “haiku” into forms that led it farther and farther from the standards and aesthetics of the old hokku. So with time, hokku and haiku grew ever farther apart. This tendency was only hastened by Western writers, who from the very beginning misunderstood and misperceived the hokku, combining it with their own notions of poetry and poets. So when they in turn began writing haiku, they confusedly presented it to the public as “what was written by Bashō,” when of course it had almost nothing in common with the hokku of Bashō but brevity. Today, in fact, the modern Western haiku tradition, which was virtually brought into being in the 1960s, has become so varied that it is not inaccurate to say that haiku today is whatever an individual writer considers it to be. If a writer calls his verse “haiku,” it is haiku. There are no universally-accepted standards defining the haiku, so it is at present nothing more in English than a catch-all umbrella term for short poems of approximately three lines. In reality, a modern haiku is often simply free verse. This is in great contrast to the hokku, which has very definite principles and aesthetic standards inherited — even in English and other languages — from the old hokku tradition, which is why it can continue to be called by the same term. Modern hokku preserves the aesthetics and principles of the old hokku in essence, whereas modern haiku is a new verse form with widely-varying standards depending on the whims of individual writers. This situation has led to a great deal of not always well-suppressed anger among writers of modern haiku. Haiku forums on the Internet are notorious for bickering and viciousness. There are many reasons for this. In a form allowing each person to be his own arbiter of what is and is not “haiku,” there are bound to be countless disagreements and sandpaper friction among those who each consider their own version of “haiku” superior. And of course nearly all of them are quite opposed to the revival of the old hokku, which they thought had been quietly buried and forgotten all these years, because for some reason they find a verse form with legitimate connection to the old hokku, and with definite standards and principles and aesthetics, somehow threatening to their Western sense of the poet as avant-garde, revolutionary, intellectual. The rest I shall leave to psychologists. Today, then, the situation is this: There is the old hokku, practiced from the time of Onitsura and Bashō up to the time of Shiki. This hokku tradition continues today among those of us who still practice it as a spiritually-based, Nature-related, seasonal short verse form and as a way of life. But there is also the much better known and more widespread new haiku tradition, which began near the end of the 19th century in Japan and got under way in English in the 1960s in the West. Modern haiku requires no spiritual basis, nor does it necessarily have a connection with Nature or the seasons. Nor does it necessarily have anything to do with one’s lifestyle or how one views the universe and the place of humans within it. To the frustration of many in the modern haiku communities who like to think of their haiku as the elite form, the chief impact of haiku in the modern world — among the general public — has been as a new and deliberately low-class satirical verse form. That accounts for the popularity of such variations as “Spam-ku,” “Honku,” and “Redneck Haiku.” Haiku has consistently failed to gain acceptance into mainstream English literature, in spite of scattered experimentation by notables such as Richard Wright and W. H. Auden. Instead it is viewed today as “grade-school poetry,” and that has contributed to its transformation into satirical verse, giving it much the same place in modern Western writing that the satirical senryū had in Japan — which was similarly both low-class and humorous. Perhaps this is the real future of haiku in the West. Given this situation, the existence today of both the old Nature and season-based hokku tradition and the newer, innovationist haiku tradition, it is up to the individual to choose which he or she prefers, but it is nonetheless important to use the terminology appropriate and accurate for each — hokku for one, and haiku for the other. As for me, I follow the old hokku tradition, because I find it not only more profound in comparison to the shallowness of most haiku today, but I also find it far more satisfying in its spiritual purity, its selflessness, and its intimate connection with Nature and the seasons. That does not keep me from being amused by such verses as the “Redneck” haiku about a fellow named Clyde who introduces himself to girls by banging on his pickup door and howling like a dog (Redneck Haiku Double-Wide edition, by Mary K. Witte). It is the way of Yin and Yang — whenever one reaches its maximum, it begins to turn into its opposite. And that is where we are now in the turning wheel of the year. The hot and bright summer having reached its peak — “the top of the live-long year” — the days have now begun, almost imperceptibly, their decline into autumn — the time of growing Yin. We stand looking out on a field of millet still in the quiet midst of August. Suddenly a cool wind, almost a mere hint of wind, stirs the heavy seed heads that bend in a gentle wave. And we suddenly realize that it is the wind of autumn, and summer is ending. What a world of significance in that verse! That is the subtlety of hokku. We express all of Nature in a single, small thing-event. And in expressing Nature, we express our own nature as well. You will find that I repeat certain things again and again, and one of those things is the importance of harmony and unity in a hokku. In this verse the maturity of the summer matches the maturity of the ears of millet, and suddenly we see a manifestation of this aging — the first sign of decline, the first coolness of the wind that speaks of autumn. When I say the wind “speaks of autumn,” I mean that in hokku, when the writer gets out of the way, removing the ego from the verse, Nature is able to speak, sometimes in the wind, or the water, or the rain, or any number of things. Read it, see it, feel it. Can you sense the harmony of elements, the ending of summer, the formerly tall and green and growing tree all cut up into a drying heap of wood? Can you feel the change in it, the transience that is inseparable from existence? So now we must prepare ourselves, as summer is coming to an end, for the arrival of autumn, a season filled with the sense of things passing and aging and changing, and thus filled with the spirit of hokku. is to put the verse into the childish mind — which we do indeed often find in Issa — but in an adult it comes off as mawkish. This is all the more dangerous in hokku because in the West, people eat “mawkish” with a spoon. They cannot get enough of it, and as I discovered long ago, one of the worst failings of some beginning students of hokku is that they go for the “cute” and sentimental like flies to dead flesh, particularly female writers, but males too are not immune. In the first translation, the writer shows us a brushwood gate — a gate made of roughly cut sticks, the bark left on. And he tells us that there is no lock on the gate, and that where one would expect to find one, there is only — at the moment — a snail. A snail instead of a lock. In the second translation, the writer shows us a brushwood gate, and says that he has a snail acting as a lock; the snail takes the place of and serves the function of a lock. That, of course, is just childish fancy; a snail cannot serve the purpose of a lock. It is in this incongruity that we find the “cuteness” of the verse. It reminds one of children playing “bank” with leaves as money. But what is cute in children is just sentimentality in an adult’s hokku. It is a brave effort, but I do not quite buy it. To me, as good hokku, the verse is simply expressing the writer’s poverty — that he really has nothing worth stealing, so a snail where one would expect a lock really does not much matter. If one understands the verse that way, it loses some of its sentimentality, but it is hard to read it that way in the second translation, which tends instead to fall into mere sentimentality. Now as to what Issa actually intended, we can only say that either translation is possible. I suspect, however, that Issa intended the more mawkish reading, knowing Issa’s way of thinking and reacting, which is why I seldom use his verses as models, and when I do, it is only those free of such personal peculiarities.